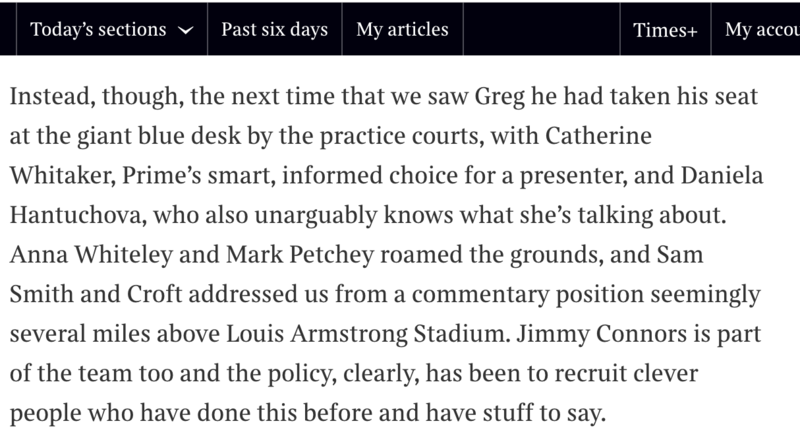 From a Times article reviewing Amazon Prime UK's coverage of the US Open. Read the full article on the Times website. "Reporter Catherine Whitaker is excellent. Give her a raise." 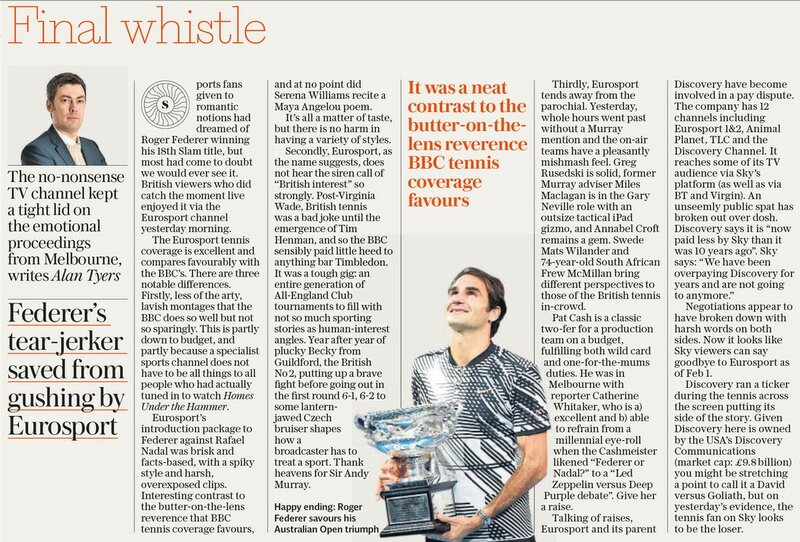 A review of Eurosport's coverage of the 2017 Australian Open, written by Alan Tyers.